We would like to welcome the readers of Physical Education, Sport, Science (PSS)! It is important to emphasize that sport sciences are multidisciplinary, because sport is unique, as it is “exercised” only by humans. Although some elements of sport and exercise can be studied in animal experiments, the human aspects of psychology, pedagogy and social-economy and the mechanisms underlying these aspects are not present in that context. The structure of the now independent University of Physical Education mirrors these aspects with the establishment of four institutes with which the University offers the possibility to carry out researches on these four main areas from various approaches, but possibly by combining different disciplines. This is not only important because of formality, but in terms of content as well. We would like to emphasize that sport (competitive or lei­sure) plays an increasingly important role in society and in the maintenance of healthy lifestyle of individuals, and facts, which impose great responsibility on us and on our students. We should raise the motto of Kuno Klebelsberg to a higher level: 'Unite the mind, morals and strength' by carrying out high quality research in the fields of physical education and sport sciences. 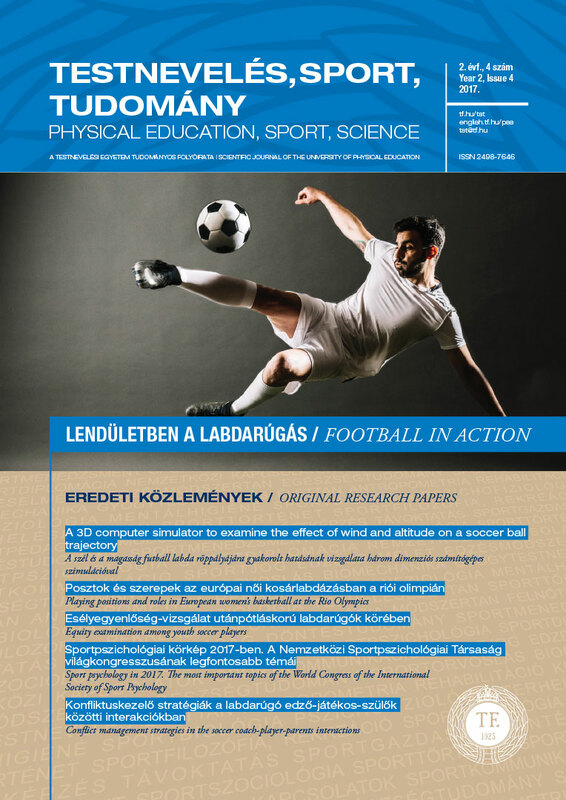 This new journal entitled Physical Education, Sport and Science (PSS), published four times a year by the University of Physical Education, Budapest, Hungary intendeds to serve these goals. The name of the Journal indicates our new ambitions and aims. Thus PSS is open for manuscripts of original research and reviews on any field of sport sciences, such as physical education, training methods, society and economy. As this journal is bilingual, we are waiting for manuscripts from foreign researchers. Moreover, we are open to publish the summary of PhD doctoral dissertations and abstracts of TDK (Student Researchers’ Club), and PhD conferences organized at the UPE. In the second volume of the Journal a new section is introduced: “Window to the world of sport sciences” aiming to draw the attention of readers to important publications in any fields of sport sciences. Adapting to the modern internet world, PSS will be published on-line, like many other prestigious sci­entific journals, thus it will be available on the internet and accessible for all readers promoting the dissemination of knowledge and scientific research in sport sciences. The Editorial Board consists of well-known national and international researchers, and more members can be expected to join us. We anticipate that Board members will contribute by sending manuscripts to PSS regarding their original research or review articles. Every manuscript sent to the Journal is reviewed by two independent peer reviewers, primarily by the members of the Editorial Board, thus ensuring the high quality of the papers and that of the journal. 2016 University of Physical Education. All rights reserved.